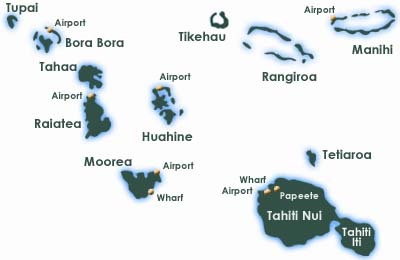 About Tahiti: Just 7 1/2 hours non-stop flying time from Los Angeles, French Polynesia is located midway between California and Australia. Tahiti is cascading waterfalls, lush green valleys, sparkling mountain streams, tropical beaches and coconut palms swaying in the sun. 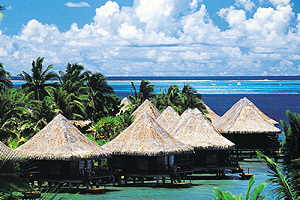 Tahiti is paradise found. 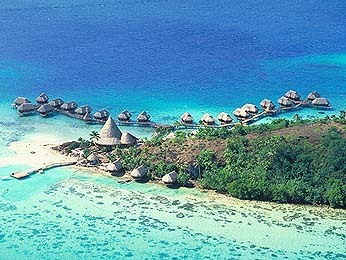 This romantic island, largest of the 118 islands which are part of French Polynesia, has drawn travelers to it's shores with the allure of warm, hospitable people and seductive beauty. With an abundance of tropical fruits, fresh vegetables and seafood, Tahiti offers the modern traveler a delightful expereience in dining. From traditional feasts, gourmet picnics and outdoor cafes, the culinary arts of Tahitian, French and Asian cuisine are tantalizing. Shoppers can revel in the display of unique handicrafts, French fashions adn brightly printed "pareo" fabrics. 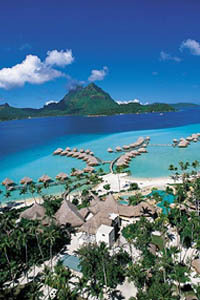 Climate: Polynesia enjoy warm, tropical weather year round, with two main seasons. The months from November through March are warmer and humid. A drier season runs from April to October. The average temperature is 78°F, and the average water temperatue is in the low 80s. Documents: U.S. and Canadian citizens need a valid passport. If your passport is other than U.S. or Canadian, check with the French Consulate. No immunization certificates are required. Currency: Cour de Franc Pacifique or French Pacific Franc (CFP). US $1 = 110 CFP. CFP is different from the Franch Franc. Electricity: Electric voltage is 220 volts, and most hotels have 110 volts outlets for electric razors. A converter/adapter kit will generally be needed for other applicances. 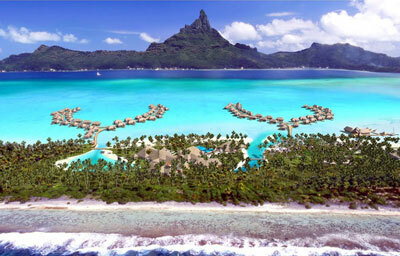 Taxes and Tipping: There is no sales tax or other hidden service charges in French Polynesia. 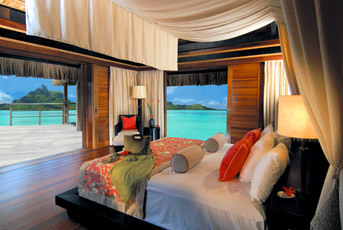 Tipping is not customary, and is actually contrary to the Tahitian idea of hospitality. This represents savings to you when compared with other destinations. 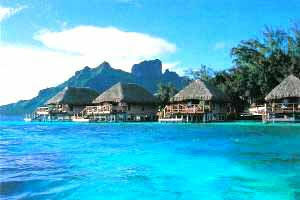 Time: Two hours behind Pacific Standard Time, Tahiti is in the same time zone as Hawaii. 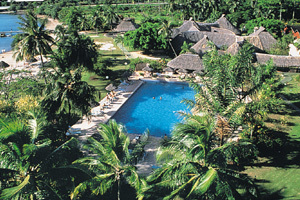 Languages: French and Tahitian are the official languages. English is spoken in hotels and in most shops and restaurants, so communication is rerely a problem. 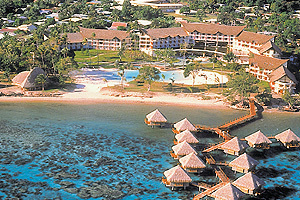 Sports Activities: Snorkeling, diving, tennis, sailing, water skiing, windsurfing, outrigger canoeing, para-sailing, horseback riding, biking, hiking and climbing are activities available on most islands in French Polynesia. Game fishing is also widely available, though true aficionados recommend December through July as the best months for this sport. 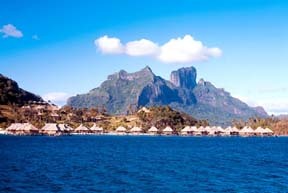 Golfers will find a spectacular course on the island of Tahiti; there are no other courses in French Polynesia at this time. Many hotels offer snorkeling equipment free, but it is advisable to pack your own snorkel, fins and mask (and regulator if you are a serious scuba diver). 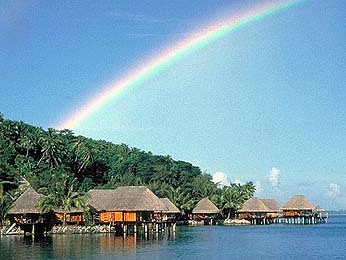 Diving: Diving in French Polynesia is colorful, varied, and among the best anywhere. 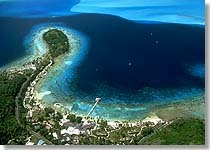 You'll encounter a myriad of colorful reef fish, moray eels, turtles, even manta rays and sharks. The translucent waters are warm (generally 80°F and above year round) and clear (visibility to over 150 feet) and full of colorful, exciting marine life...no matter which island you choose to explore.